Ribbon-cutting ceremony to mark the official launch of the Industry-Academia Battery R&D Center on March 7, 2017. 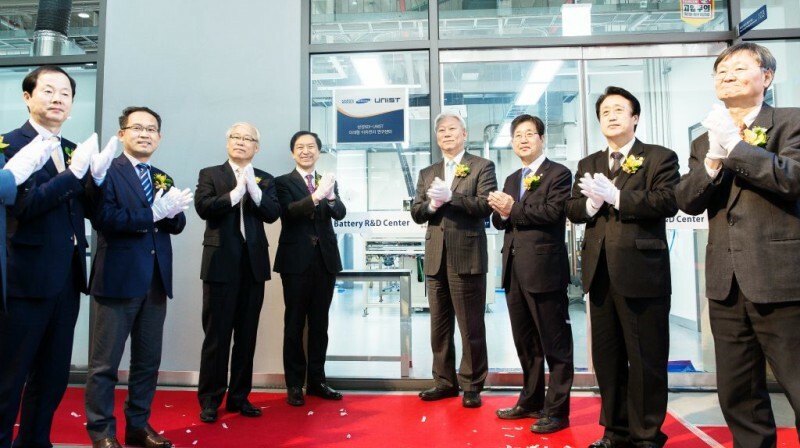 On March 7, UNIST held a ceremony to mark the official launch of the Battery R&D Center for secondary batteries. 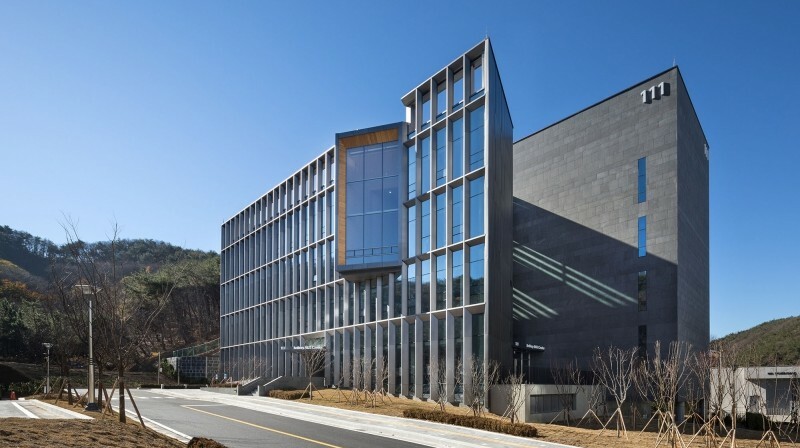 Surrounded by beautiful natural scenery, this center is expected to serve as the hub for battery research and education at UNIST. This Industry-Academia Battery R&D Center, which is said to be the world’s largest R&D center for batteries operated by a university, will focus on making future battery cells that are safer than conventional lithium-ion batteries used in millions of laptops and cell phones today. The inside view of the Industry-Academia Battery R&D Center at UNIST. This new center at UNIST will become a place that examines smaller scale batteries placed in smartphones and IT devices, as well as large-scale batteries for electric cars or energy storage devices. With the help of this center, UNIST will spur the development of batteries that are ultra-fast charging and long-lasting, the No. 1 research brand of UNIST. Director Jaephil Cho of the Industry-Academia Battery R&D Center. The center was built beginning in May, 2014 and completed in December, 2016. A total of 17.7 billion KRW was invested, including 15 billion KRW from the government and 2.7 billion KRW from UNIST. 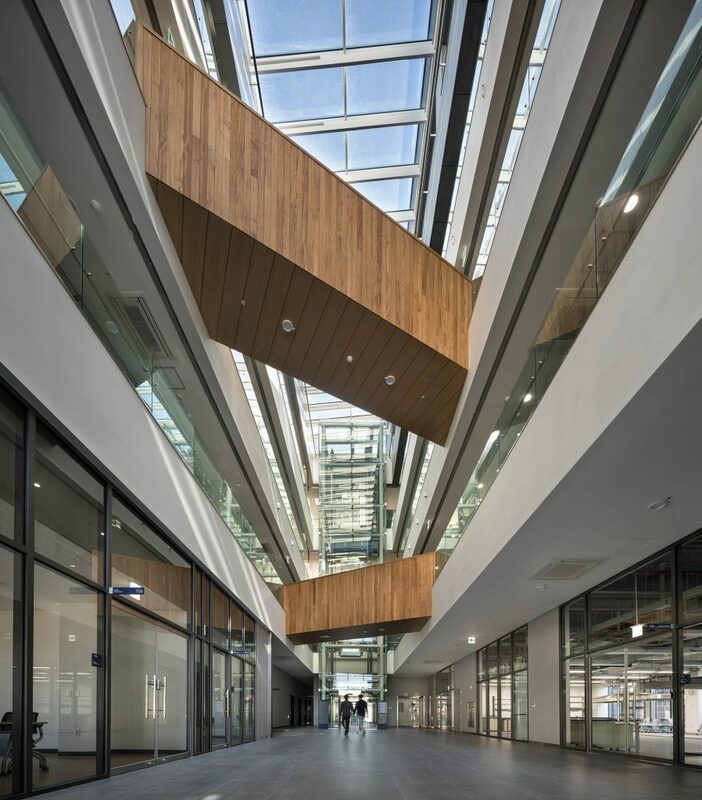 This new research center comprises five floors and a basement with a gross floor area of approximately 5,700 square meters. Currently, eleven professors who are experts in secondary batteries and about 100 researchers are residing at the center to help provide a broad platform for the new battery technology. The new facility also includes state-of-the-art research equipment, such as dry rooms, stability rooms, real-time battery analyzing devices, as well as direct ion beam microscopy. “The center will utilize R&D results by developing the next-generation secondary battery technology and secure national competitiveness in the sector,” says Director Jaephil Cho, the world-leading expert in secondary battery. The center has established the battery manufacturing line, as well as the semi-mass production facility for battery materials. 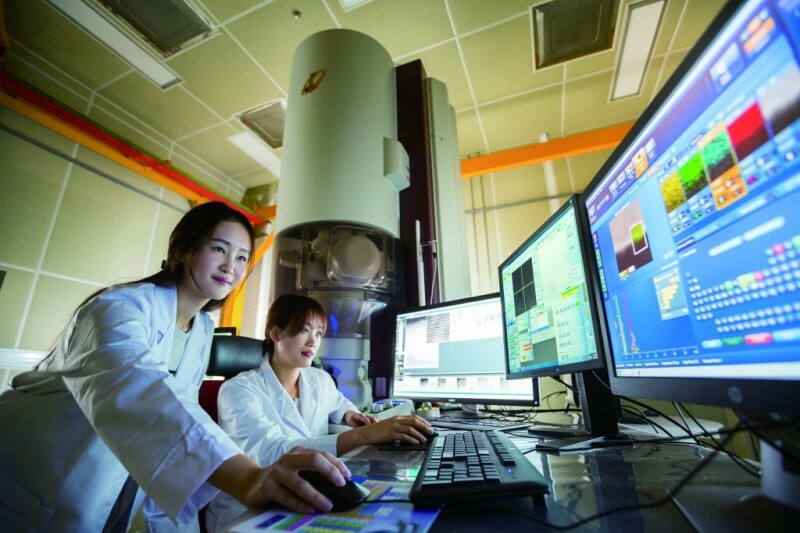 The construction of such research infrastructure is funded by the Ulsan City and the government fund of 8 billion KRW. On this day, the Samsung SDI-UNIST Future Batteries Research Center has been also moved to the new facility. Established in 2014, the center was the first joint research center between UNIST and Samsung SDI Co., Ltd., the world’s leading manufacturer of lithium-ion batteries. The joint research team of UNIST and Samsung SDI will investigate the reliability and physical degradation mechanisms associated with the loss of battery performance and develop core technologies for the next-generation secondary batteries. Attendees participate in the ribbon cutting ceremony at the Industry-Academia Battery R&D Center, UNIST. “The company will closely work with UNIST to challenge the limits of secondary lithium batteries and develop next generation batteries,” said Jang Hyuk, executive vice president of Samsung SDI. 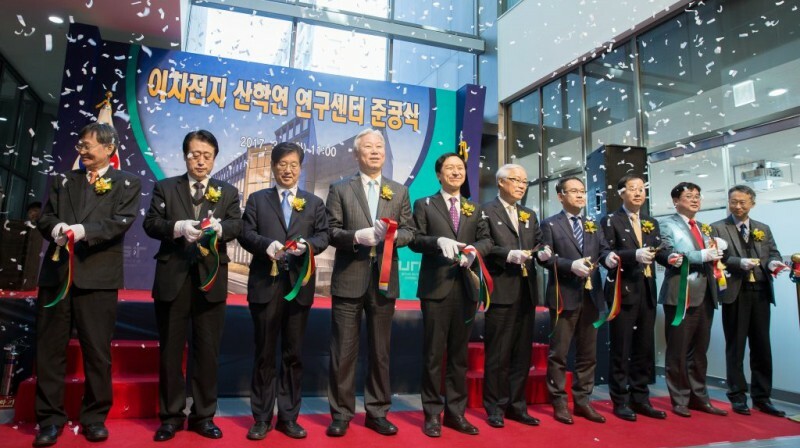 The ceremony was attended by UNIST President Mooyoung Jung, Mayor Gi-hyun Kim of Ulsan, Executive Vice President Jang Hyuk of Samsung SDI, the National Assembly member Gil-Bu Kang, DaeHyung Cho of Ulsan Samsung SDI, and other related guests.